Home equity held by Americans age 62 and over reached $5.76 trillion last year – an increase of nearly 30 percent since 2013. A marker of how much of this retirement resource remains untapped is the small number of federally insured reverse mortgages – about 50,000 – that seniors take out every year against the value of their home equity. Reverse mortgages, which are available to homeowners at age 62, are equity loans that do not have to be repaid until the senior permanently leaves their home. Whether remaining in the house is the right option and tips for doing so. A booklet, “Use Your Home to Stay in Your Home” – in English and Spanish. How reverse mortgages and the program’s required financial counseling work, including a comparison of the advantages and disadvantages of these and other types of loans. Alternative housing, which ranges from living with family to moving into an assisted living community. A booklet by the Center for Retirement Research, which supports this blog, “Using Your House for Income in Retirement.” This includes a discussion of the considerations for downsizing, as well as reverse mortgages. A blog updating readers on rules governing reverse mortgages. A reverse mortgage calculator recommended by the NCOA. Click here to read more on the NCOA’s website. While no longer originating reverse mortgages, I did nearly 100 of them prior to 2009. I saw situations that question their use. Primary was “short term” or immediate needs thinking by the borrower. It is important to understand the best use and value of a reverse accrues to the person able to remain in the home indefinitely. Closing costs for a reverse remain high, making it’s use as a short term loan quite expensive. These are typically added to the initial loan balance. But the same costs spread over many years brings them closer to costs of other conventional loans. The other major threat to the reverse as a long term solution is declining health of the borrower. Sometimes this is a valid reason to borrow, to afford home health services. Other times, it is the reason that will take someone out of the home when the level of care needed is more serious. Not many borrowers are thinking of this factor. Repayment of the reverse is triggered once the borrower no longer resides in the property. Ideally, the reverse borrower would also own long term care insurance to protect against that risk. The two financial vehicles in combination can thus provide substantial support to the goal of aging in place. I think I only did one loan where the couple already had LTC insurance. Absent long term care insurance, potential reverse borrowers would be wise to think ahead. It may be better to move to alternative housing now, while you still can. Otherwise, when reverse funds are spent down and little home equity remains, choices on new housing could be very limited. Kim, Great post once again. NCOA’s new website is amazing as now it provides detailed info on home equity which many of us were unaware of..
Below is more information about “surprises” that can happen if a reverse mortgage holder goes into long-term care. It’s critical to know the mechanics of these loans. For the first 12 months, you may access draws from the line of credit, or your adult children can on your behalf, with a power of attorney. After 12 months, the loan repayment is triggered, and access to the line of credit is shut off. 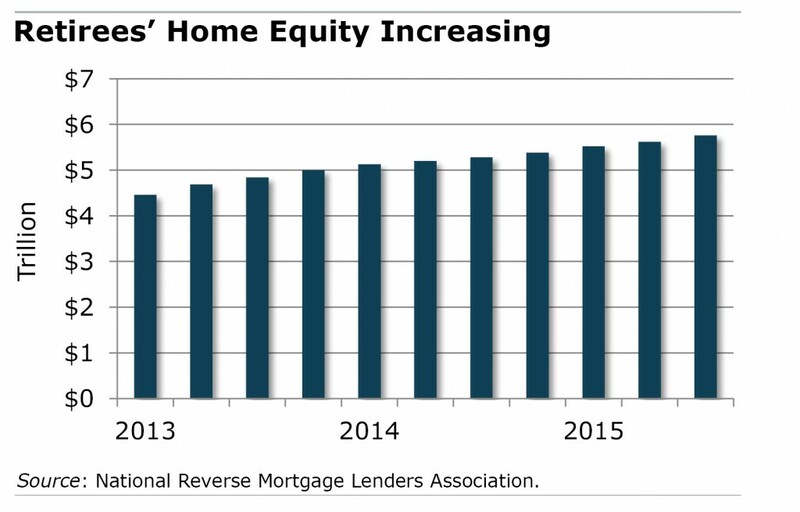 You could then only realize any remaining loan funds/equity once the home sells. Problems arise when borrowers and their heirs fail to understand what happens and when. Some important points for people to understand about home equity. Especially as you begin retiring, it’s important to understand what your home’s equity can do for you.